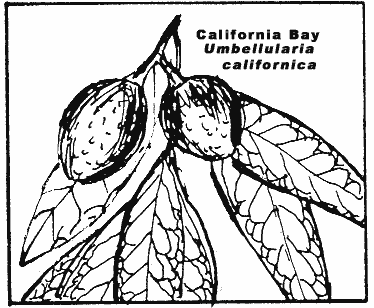 Comments: Evergreen, native to California and Oregon cast ranges. Can grow to 75' high and over 100' wide. Leaves are powerfully aromatic. Its wood is heavy and has beautifully figured grain for craft objects such as vases, trays, bowls and pins. 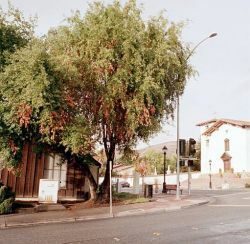 This tree is across the street from Mission San Jose, one of the original 21 California Missions.